It's only a matter of time before devices and appliances used to capture the sun's heat will begin to perform a wider variety of tasks. Water heaters are only the beginning for residential solar thermal. Devices and appliances for capturing the sun's heat are going to likely start performing more and varied tasks, according to solar advocates at the Fifth Annual German California Solar day that took place in San Francisco yesterday. Right now, solar thermal is primarily deployed to heat water for pools, showers or household appliances, but in the future expect to see it used to heat rooms, purify water or other things. In part, the increased experimentation with solar thermal technology derives from the fact that, compared to photovoltaic panels, solar thermal has been overlooked. Only about 180,000 solar water heaters and other solar thermal devices exist in the U.S., according to Ed Murray, CEO of Aztec Solar. Only 1,000 get installed yearly in California, although many homes in Los Angeles and Berkeley were equipped with solar water heaters in the 1920s, before a large network of natural gas pipelines existed. Approximately 75 percent of the homes in the U.S. could take advantage of solar technology, said Jane Davidson, a professor at the University of Minnesota and the director of the Solar Energy Laboratory. But, oops, there's the price. Solar thermal systems in the U.S. cost about $150 a square foot, she said. Without subsides, they are only currently economical in parts of the Southwestern U.S., Alaska and Hawaii. "In most of the U.S. it is less expensive to use natural gas or electric," she said. Piling on the chores, therefore, can help spread the costs. But a growing number of consumers in Germany and Austria are beginning to buy combi systems, said Werner Koldehoff, a board member of the German Solar Industry Association. In these, hot water goes to the heater, and some of it goes through pipes in the floor to provide space heating. 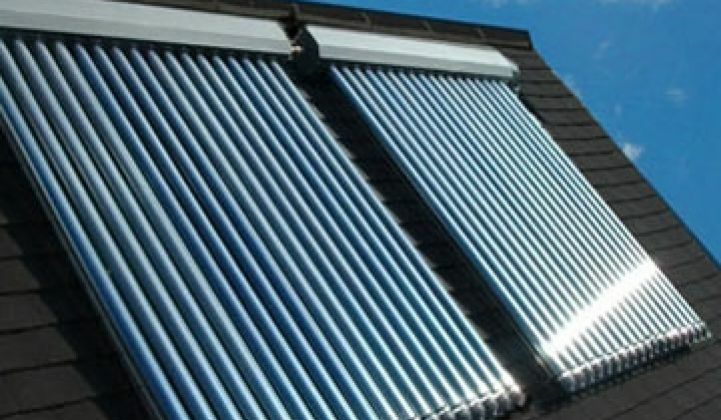 A conventional solar water heater might cost €6,000 to €8,000 while a combi system can run €10,000 to €15,000. Some customers have also begun to harness heat to run solar air conditioners. The Hotel Belroy Palace in Spain has a floor heater/water heater/solar air conditioner, he noted. Air conditioning is in the early stages, but manufacturers are already popping up. "That is the future of solar thermal. It is not only water," he said. European communities have additionally started to deploy solar thermal water/heating systems for multifamily buildings and communities. 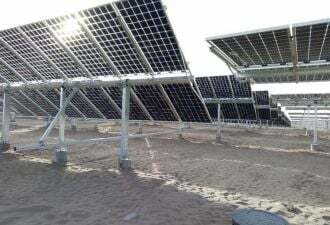 Marstal, Denmark has erected 18,000 square meters of solar collectors which provide 30 percent of the town's heating, he said. In all, the system can provide the equivalent of 12.8 megawatts of power in terms of heat. (Warm wastewater from the shower, whether solar heated or not, can also be used to warm incoming water – Zeta Communities has a pre-warmer like this in its beta home.) Like solar air conditioning, community systems are in the early stages. Later, solar thermal could be used to purify and/or desalinate water, he noted. Industrial equipment for hot water and steam is also coming from Ausra and eSolar. One issue that will need to be ironed out, however, is storage. PV panels can just shuttle power to the grid. There is no heat grid. Heat also needs to be stored seasonally – harvested in summer and consumed in winter. One solution may be chemical storage, i.e., fuel cells, said Davidson.